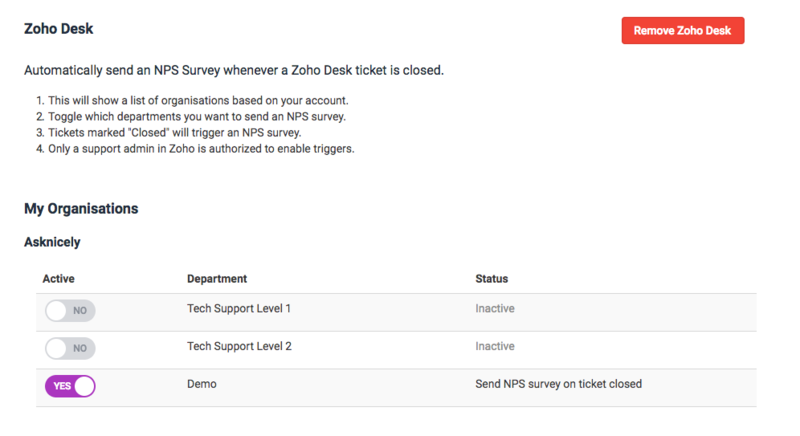 Integrate AskNicely with your Zoho Desk account to automatically send NPS surveys when tickets are closed. Each survey request is checked against AskNicely contact rules to avoid over surveying customers. Navigate your way to the Integrations page by clicking the Cog Wheel on the upper right most corner of your screen > Integrations > Zoho Desk. 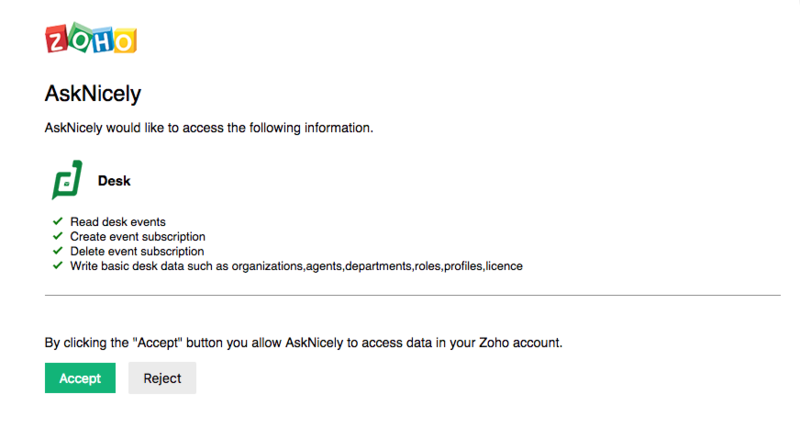 Clicking "Connect" will prompt you to sign in to your Zoho Desk account. After signing in you will be asked to allow AskNicely App to access basic information about your Organisation and Department details, and allow to create or delete events. After successfully connecting your Zoho Desk account, you will see all Organisations and Departments associated to your account. Simply toggle "Yes" to start sending NPS surveys on a particular department marked as "Closed". Survey responses will be in the Responses page with the Segment set to the Department name, and a ticket_id custom field for the ticket number in Zoho Desk.